to make your party a snap! 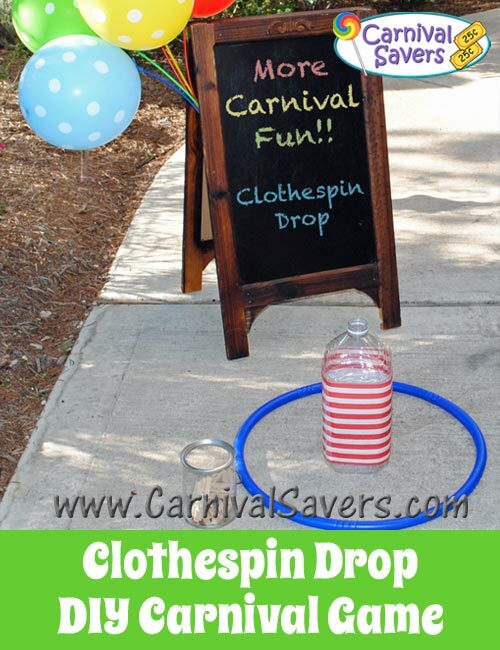 Click to see this DIY Kids Party Game! Use 9 Ounce Plastic Cups about 3 Inches apart! 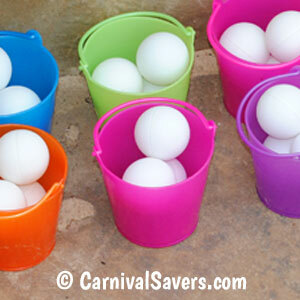 TIP: Place Ping Pong Balls in Mini Pails! 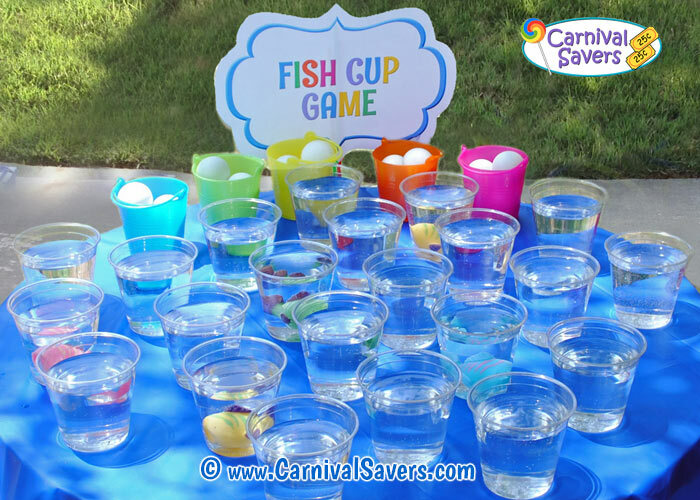 This carnival game is a spin off from the Fish Bowl Carnival Game. In searching, we could not find really inexpensive fish bowls and found that clear plastic cups did a great job at a fraction of the price! We recommend keeping the game "fish friendly" and only using pretend fish for the plastic cups! 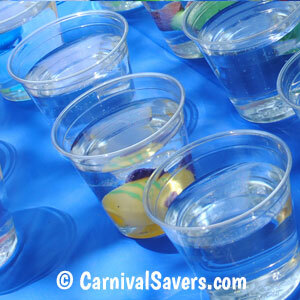 Before the carnival, set out at least 36 cups and fill with water. Make sure they are a few inches apart on the table - do not place them right next to each other or this game will be too easy! Next choose about 8 colorful squirt fish to add to just 8 of the clear cups. 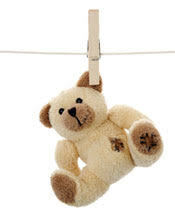 (see our example above.) In order for fish to sink to the bottom, immerse them into the water and squeeze them to release the air bubbles that will fill the fish with water. Your squirt fish should sit on the bottom of each cup for your game. Players are given 3 table tennis balls to try their chance at getting a ball into a cup with a squirt fish in the bottom. The only way to win this game is to have one or more of your table tennis balls land into a cup holding a fish! 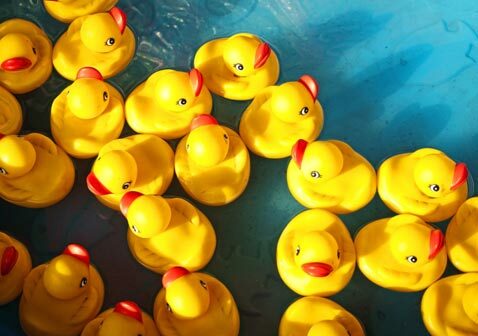 Like all carnival games, we recommend you set this one up and test it out. In our tests, giving players 3 chances, they had about a 1 in 12 - 15 chance of getting a ball into a fishbowl with a colorful squirt fish when standing about 3 - 5 feet from the game. Older players did not do much better than younger players - this game looks much easier than it is!! 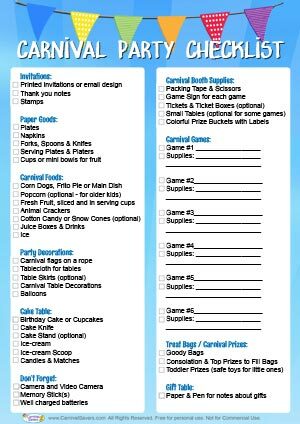 CARNIVAL SUPPLIES & PRIZES for the FISH CUP CARNIVAL BOOTH!